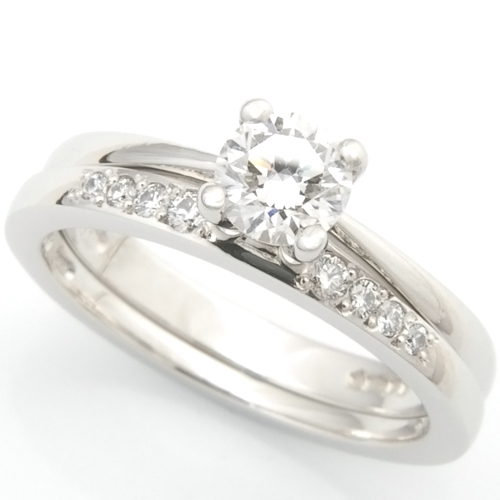 Bespoke Wedding Ring Styles — Form Bespoke Jewellers Ltd. There are many wedding ring styles to choose from so our expert jewellers are here to guide you along the creative process. We’re here to help you design your perfect bespoke wedding ring, whether it be diamond set, plain, engraved, textured of fitted. Your bespoke wedding ring can be set with diamonds or coloured precious gemstones. Some people choose to have diamonds fully set around the entire band, others prefer them just across the top half, or on the inside edge. Classic and simple. A plain wedding ring is a more subtle option and also could be a good option if you would like the attention to remain on your engagement ring. But plain doesn’t mean boring. How about a twisting style, concave profile or clever inlay? Textured wedding rings allow you to add a trendy, bespoke style to your wedding ring. A satin or brushed finish provides a matte look. A hammered effect creates an interesting, tactile finish that refracts light. And don’t forget you can mix a textured finish with diamonds or engraved lines. We work with a specialist engraver who can add even the most intricate design onto your bespoke wedding ring. We could also diamond-engrave highly polished lines, or add a special date to your ring using laser engraving. It can be tricky for a wedding ring to sit perfectly alongside your engagement ring, particularly if it is a cluster or trilogy style. So, a fitted wedding ring or shaped wedding ring could be your perfect solution. Bespoke-made, just for you, it will fit like a jigsaw piece next to your existing jewellery. We know there are lots of options to choose from. But don’t panic! Our expert jewellers are right here to help you every step of the way.